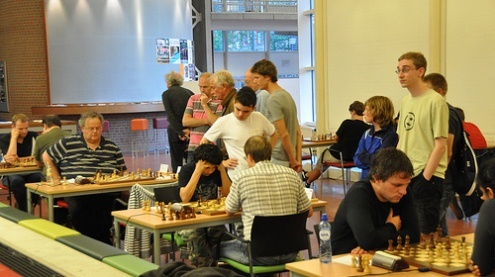 The 19th Hogeschool Zeeland Tournament is taking place from August 1-8, at the University of Applied Sciences in Vlissingen, the Netherlands. The 9-round Swiss Open is organized by Stichting Schaak Walcheren. The FIDE Laws will apply, except article 6.6a. Top prizes are EUR 2000 / 1300 / 800 / 500 / 400. 242 players from 15 federations are registered to take participation. Among them are 11 Grandmasters and 12 International Masters. List below. Last year winner was GM Michal Krasenkow.